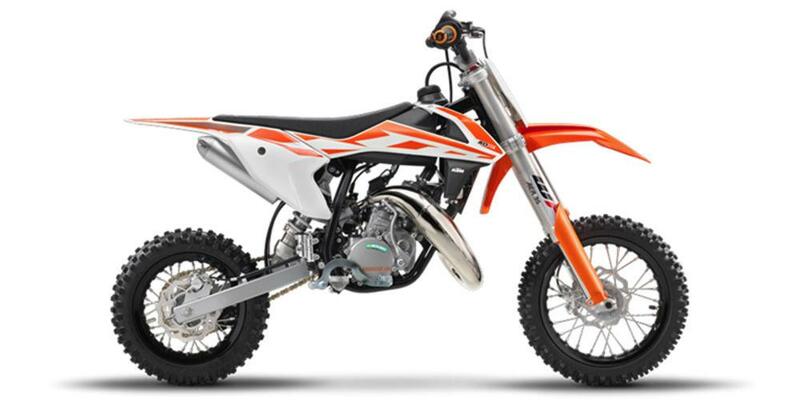 The 50 SX is a true KTM for young MX riders aged from around 4 to 10 years old and up to a body height of 1.30m. It is a genuine dirt bike that, like its bigger siblings, is produced with top-quality components. This makes the 50 SX the first choice as a stepping stone into the world of MX or for the first racing step on the ladder. 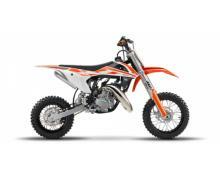 With the youngster in mind this package has an engine that delivers steady, controllable power, incorporating an automatic clutch that is ideal for novice riders. This year’s model features revolutionary WP AER 35 front forks, fully adjustable rear suspension, a new exhaust, ultra cool graphics and a lot of detail improvements that make going fast, fun. And safe.